In English at KS3, pupils develop oracy, reading and writing skills and are assessed on each area at least twice during each academic year. Drama at KS3 is taught once a fortnight. Skills taught reinforce oracy and topics covered in English. 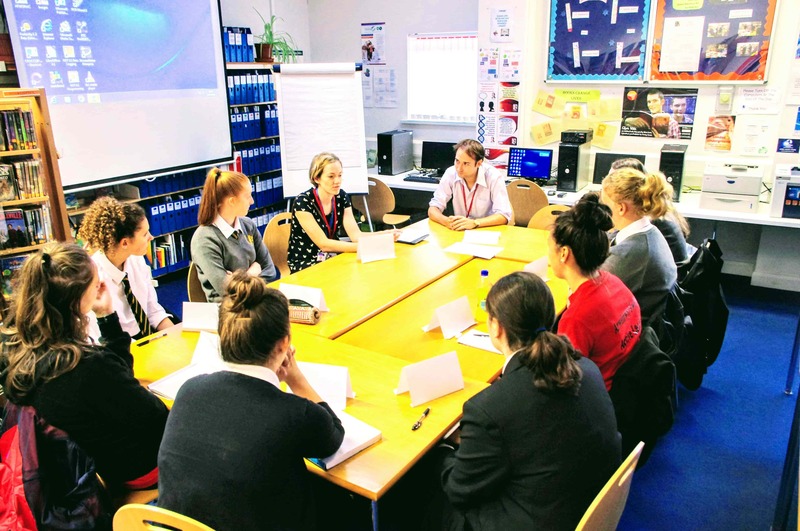 At KS4, all pupils study the two-year WJEC English Language course. The Oracy Controlled Assessments, which form 20% of the overall grade, are assessed throughout the two years. Presently, the Individual Presentation is recorded and assessed in July when pupils have moved into Year 11 and the Group Discussion is recorded and assessed in the October of Year 11. WJEC GCSE English Literature is undertaken by the top one or two sets. The Unit 3 Controlled Assessment is completed during Year 10 and the Unit 1 examination based on ‘Of Mice and Men’ by John Steinbeck and Unseen Poetry is externally assessed at the end of Year 10. Unit 2a, based on ‘Heroes’ by Robert Cormier and either ‘A Taste of Honey’ by Shelagh Delaney or ‘An Inspector Calls’ by J B Priestley, is externally assessed at the end of Year 11. GCSE Drama is an option subject, which includes three units: Unit 1 Devising Theatre Non-exam assessment: internally assessed, externally moderated (40% of qualification); Unit 2 Performing Theatre Non-exam assessment: externally assessed by a visiting examiner (20% of qualification) and Unit 3 Interpreting Theatre Written examination: 1 hour 30 minutes (40% of qualification). GCE English Language & Literature is an optional subject in Y12 & Y13, which includes five units across the two years. AS level includes two units: Unit 1 Comparative Analysis and creative Writing (closed-book written examination 2 hours) and Unit 2 Drama and Non-literary Text Study (open-book, clean copy written examination 2 hours). A level includes three units: Unit 3 Shakespeare (closed-book written examination 2 hours), Unit 4 Unseen Texts and Prose Study (open-book written examination 2 hours) and Unit 5 Critical and Creative Genre Study Non-exam assessment: 2500-3500 word folder. At the beginning of Year 9, pupils compete in the Hefin Bennett Debate Competition. An external adjudicator awards the best chairperson, best speaker and best team. 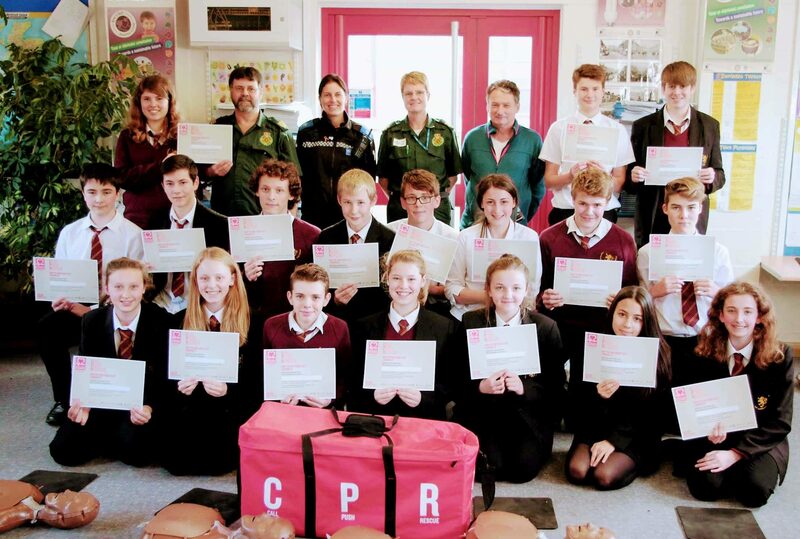 Their achievement is recognised in the school’s Award Ceremony. All pupils at KS3, KS4 and Post 16 compete in the school Eisteddfod off stage competitions. In KS3, each pupil’s story is entered into the Junior Literary Medal competition, at KS4, each pupil’s essay is entered into the D J Rodgers competition and Year 11 & Post 16 pupils are invited to enter the English Chairing competition. During Term 2, KS3, KS4 and Post 16 pupils also enter the Montgomeryshire Essay competition. Post 16 pupils are also given the opportunity to attend a CEWC Cymru Training Day with a view to entering the CEWC Cymru Debate competition. If pupils are successful in the Regional round, they continue to represent their school and region in the semi-final. The Scholastic Book Fair is available twice a year the school’s library. Pupils are also provided with opportunities to enter poetry and creative writing competitionswhich become available from external organisations. These competitions are also promoted on the department’s notice board situated outside E2. For KS3 pupils, there is a weekly lunchtime and after school drama club. Years 7 & 8 are invited to attend the Hay Festival on the last day before May half term. KS3 theatre trips are offered as the opportunity arises. KS4 Theatre trips to support texts studied are offered as the opportunity arises. Post 16 Theatre trips to support texts studied are also offered as the opportunity arises. The Humanities Curriculum Area is very successful and popular in terms of results and uptake at GCSE and A-level. It is also the largest Curriculum Area in terms of classes taught, subjects and staff. Currently, Humanities staff teach 62 classes in 8 different subjects from Year 7 to Year 13. Uptake in Geography and History at GCSE and A-level is particularly strong and are consistently amongst the most popular GCSE and A-level subjects in the school. Much of this is to do with excellent teaching during KS3 & 4 but also the positive relationships we build with the learners based on the principals of mutual respect and trust. The progress and wellbeing of pupils is of great importance to us but we also demand high standards of discipline, as no effective teaching or learning can take place without the presence of a positive learning environment. These positive relationships are also evidenced in the Pupil Panels we conduct with a cross section of learners. Humanities consistently score highly on the questions of ‘Teachers help me learn and make progress’, ‘pupils behave well and I can get my work done’ and ‘Humanities staff treat all pupils fairly and with respect’. We pride ourselves on the achievements of our learners. 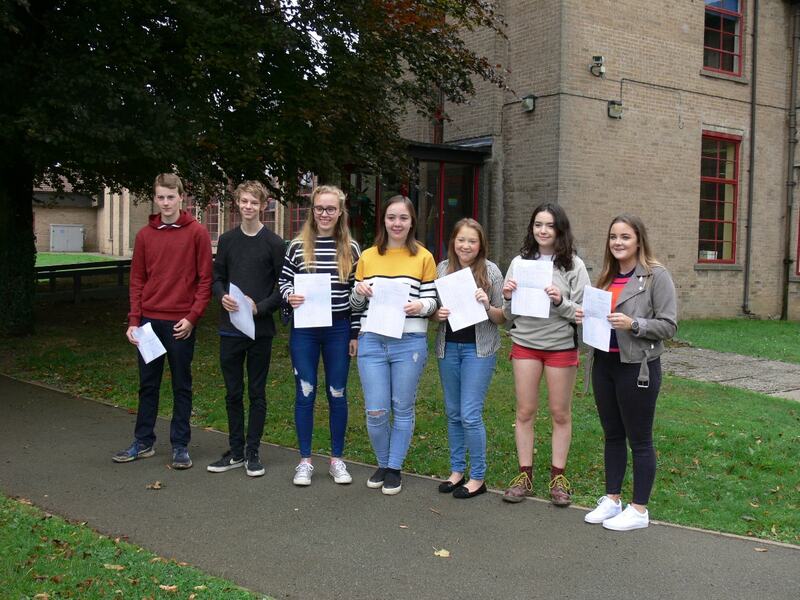 Our GCSE and A –level results compare favourably to local and national pass rates. In GCSE Geography and History the A*-C pass rates last year were 91% and 93% respectively. 74% of History students passed with an A*/A grade. At A-Level 40% of the Geography students achieved an A* grade. The A*-C pass rate was 90%. In History the A*-C pass rate was 100%. 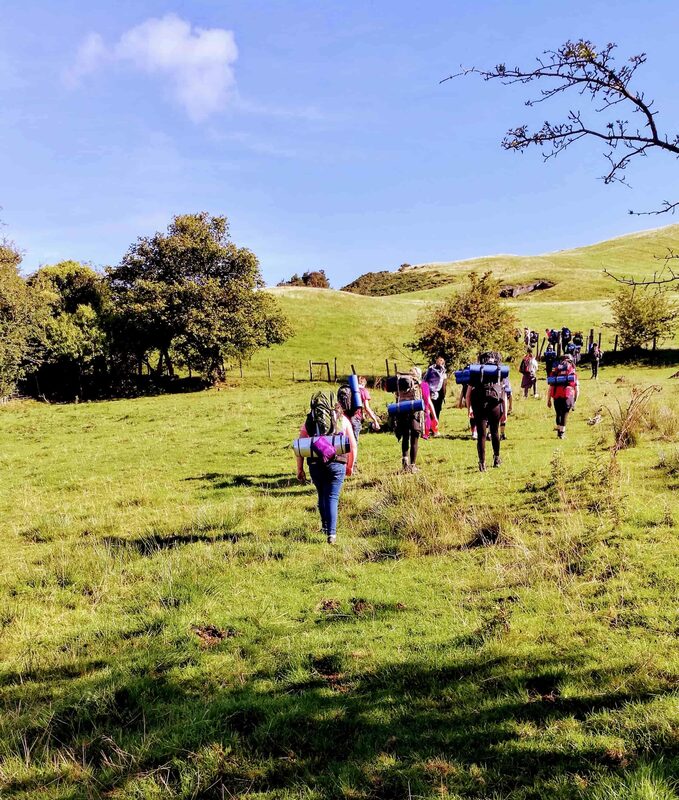 Humanities staff play an important role in organising fieldwork opportunities, the Duke of Edinburgh Award, day trips and overseas residential visits. Trips include St Fagans, Cardiff, Hafren Forest, Borth & Ynys Las, Montgomery Castle, Nant yr Arian, Chester zoo and Snowdonia. Mr Williams has organised biannual GCSE & A-Level trips to Iceland and Italy. Mr Jamie Jones is responsible for the annual Ski Trip and also the Duke of Edinburgh Award. Pupils at Llanidloes High School are enjoying the benefits of extended curriculum options in Science. Following changes to the curriculum in Science at Llanidloes High School pupils in years 7 and 8 are learning science through topic-based modules which are rich with practical tasks to consolidate the scientific ideas being encountered. Year 9 sees a change whereby pupils progress onto one of a number of routes aiming toward final qualifications at the end of year 11. Route A – three year study with 3 separate GCSE qualifications in Biology, Chemistry and Physics. Route C -three year program of study with Dual Entry into a Science Entry Level Certificate in Science AND entry into the same Double Award qualification as above (for those pupils who are suitable). The above options will give pupils the opportunity to fulfil their potential in Science by following the most suitable route, allowing an integrated progression onto further study at A level or into vocational education. Aside from the academic experiences on offer in Science at Llanidloes High School we also offer a practical STEM (Science Technology, Engineering and Mathematics) Club. There also exists a close association with various external agencies including Techniquest, Aberystwyth and Bangor Universities, Institute of Physics, Royal Societies of Biology and Chemistry, who work with us to enhance and promote science through practical projects and experiences at all levels from year 7 to year 13. At key-stage 3 in D&T pupils will gain skills, knowledge and experience in a range of subjects on a carousel system, which rotates approximately every 6 weeks. They gain skills with a wide range of tools and equipment through Focused Practical Tasks, as well as teacher-led demonstrations. They are then given the opportunity to develop and extend both their skills and knowledge, through Design and Make Activities in each of the subject areas. In Art, pupils use a wide range of media, both 2 Dimensional and 3, developing their knowledge and skills through teacher-led focused tasks. They are also given the opportunity to show off any personal talent or skills in other media through open brief assignments and Extracurricular activities, like competitions and clubs. In ICT pupils first learn about online safety, and through teacher-led tasks develop their skills in 3 main areas, Desktop Publishing, Modelling & Data Handling. At Key–stage 4 Pupils are offered a range of GCSE options, these are dependant on demand but will usually include 2 or 3 D&T subjects, as well as 1 or 2 from ICT, along with Art. All follow the WJEC specifications, which can be found on the WJEC website ( Link Below ) and details course structure and content. At A level we currently offer Product Design, Fine Art & ICT, as GCE’s and all follow WJEC specifications – but these are again subject to demand. Welsh Robot Olympics ‘Heavyweight’ champion – Represented Wales in Dublin Expo & Robot Wars. A D&T staff member achieved a Powys ‘Teacher of the Year Award’. Numerous Innovation Awards and Nominations – Almost Annually. There are also many clubs and extracurricular activities available to pupils, including an Art Club, Computer Coding Club, STEM club, Young Engineers competitions, and if there is enthusiasm for additional activities we will endeavour to facilitate the needs and desires of all out learners. We are one of the best-equipped schools in terms of D&T facilities in the county, boasting, a CNC lathe, CNC milling Machine / 3d Scanner, a Laser Cutter and 3D Printers – ensuring our learners are kept up to date with new technologies. Our Aim is to promote and foster creative, entrepreneurs of the future, tailoring education to the needs of the individual.